Chromium Plus™ features chromium polynicotinate with supporting nutrients to assist glucose metabolism. May help maintenance of healthy blood sugar, digestion of carbohydrates, and management of carbohydrate cravings. 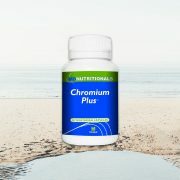 Chromium is a trace element that supports general health and wellbeing. This trace mineral is required for carbohydrate metabolism, and may help maintain healthy blood glucose. Chromium polynicotinate is one of several chemical compounds of chromium. It is a niacin-bound chromium which is seen as more favourable than chromium picolinate. Alpha lipoic acid, inositol, zinc glycinate, and vanadium provide nutritional support to aid carbohydrate metabolism. o Alpha-lipoic acid is an antioxidant that may reduce free radicals formed in the body. o Inositol, or vitamin B8, is a vitamin-like substance that supports healthy blood sugar. o Zinc glycinate is an absorbable form that may help maintain zinc levels in the body. Supplemental zinc supports glucose metabolism. o Studies show long term use of vanadium is effective to assist sugar metabolism. Calcium hydrogen phosphate, calcium phosphate, silicon dioxide, and magnesium stearate (vegetable source). Contains no gluten, soy, dairy, yeast, wheat, animal products, artificial flavours, colours, or preservatives. Adults take 1 capsule daily, or as directed by your healthcare practitioner. Not recommended for use by pregnant, or breastfeeding women. Always read the label. Use only as directed. If symptoms persist, talk to your health professional. Not all cautions and contraindications are listed. For full details, references or more information click here to email MD Nutritionals technical support. Store below 30°C out of direct sunlight. * VCAPS and the VCAPS Logo are trademarks used under license. Note: This product is available to Queensland residents only. MD Nutritionals practitioner-only products are specially formulated to enhance optimal health and vitality. Explore our advanced professional range from plant-based digestive enzymes created to maintain healthy digestive system function, to phytonutrient supplements which aim to support healthy hormonal balance. 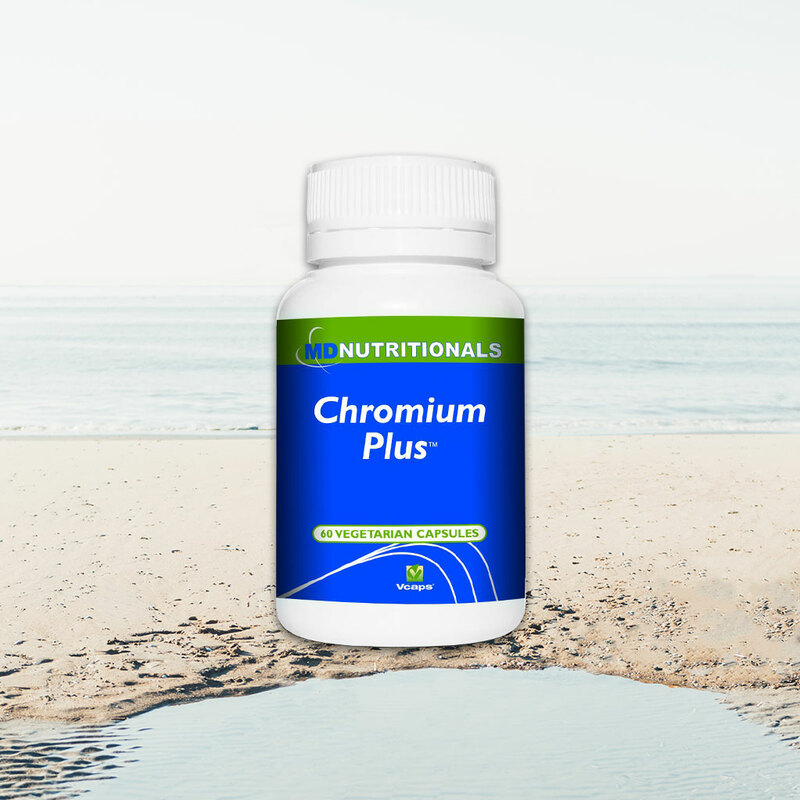 Chromium Plus™ features chromium polynicotinate with supporting nutrients to assist glucose metabolism and management of carbohydrate cravings. Not recommended for use by pregnant, or breastfeeding women. Always read the label. Use only as directed. If symptoms persist talk to your healthcare professional. 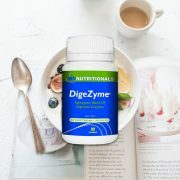 DigeZyme® is a proprietary blend of five plant-based enzymes developed to support digestive system health, and maintain assimilation of nutrients. DU = Dextrinizing Unit; HUT = Haemoglobin Unit Tyrosine base; CU = Cellulase Unit; LAC = Lactase Unit; FIP = Federation Internationale Pharmaceutique Unit. Adults: Take 1 capsule three times daily with food, or as directed by your healthcare practitioner. 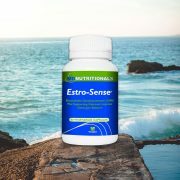 Estro-Sense® features Indolplex® along with Bladderwrack (Fucus vesiculosus), selenium and D3 to maintain healthy oestrogen hormone levels. Cellulose microcrystalline, calcium hydrogen phosphate, silica colloidal (anhydrous) and magnesium stearate (vegetable). Contains no gluten, dairy, yeast, wheat, artificial flavours, colours or preservatives. Contains no gluten, dairy, yeast, wheat, artificial flavours, colours or preservatives. Vitamins and minerals can only be of assistance if dietary intake is inadequate. Not recommended for use by pregnant, or breastfeeding women. Seek the advice of a doctor before taking Indolplex® when taking prescribed medication. Indolplex® increases activity CYP1A2 which suggests supplementation may have the potential to decrease concentrations of medications metabolized by CYP1A2. 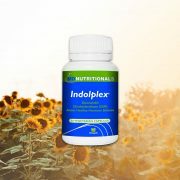 Indolplex® does not contain goitrogenic compounds which could affect thyroid function. 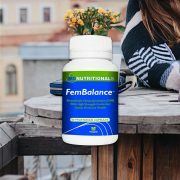 FemBalance® features Indolplex® plus Chaste berry (Vitex agnus castus), Bladderwrack (Fucus vesiculosus), selenium, and D3 to support reproductive system health. Cellulose microcrystalline, silicon dioxide, calcium hydrogen phosphate and magnesium stearate (vegetable source). 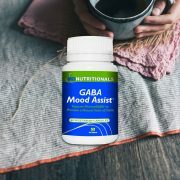 GABA Mood Assist™ features Pharma GABA®, a bioavailable form of gamma-aminobutyric acid (GABA). Supports mental focus, a healthy stress response, and relieves sleeplessness. Cellulose microcrystalline, calcium hydrogen phosphate, silica colloidal (anhydrous) and magnesium stearate (vegetable). Contains no gluten, soy, dairy, yeast, wheat, animal products, artificial flavours, colours or preservatives. Adults take 1 capsule 1 to 3 times daily away from meals, or as directed by your healthcare practitioner. For sleep: Adults take 1 to 2 capsules 30 minutes before bedtime. As a general guideline no more than 600mg of GABA Mood Assist™ should be taken in a six hour time period. Children (12 years and older): Take 1 capsule 1 to 3 times a day away from meals, or as directed by your healthcare practitioner. Seek the advice of a doctor before taking GABA Mood Assist™ when taking prescribed medication. Not recommended for use by pregnant, or breastfeeding women. 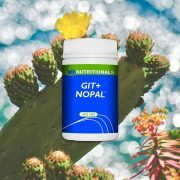 Full spectrum phytonutrient formula featuring Nopal cactus (Opuntia ficus-indica) with key herbs and nutrients. Steviol glycosides (from certified organic stevia powder), fennel oil. Adults: Mix 2 level teaspoons (approximately 5g) in 250ml of water once daily, or as directed by your healthcare professional. Consume in conjunction with a nutritious diet and an appropriate physical training or exercise program. Store below 25°C out of direct sunlight. Refrigerate after use. 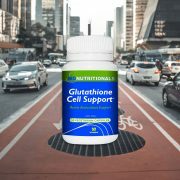 Glutathione Cell Support™ is formulated with reduced glutathione and vitamin C to promote immune defence, and help decrease free radical damage to body cells. Calcium hydrogen phosphate, microcrystalline Vitamin C is an essential micronutrient cellulose, silica colloidal anhydrous, and magnesium stearate. Adults take 1 capsule once or twice daily, or as directed by your healthcare practitioner. Vitamin supplements should not replace a balanced diet. Not recommended for use by pregnant, or breastfeeding women. Indolplex® features bioavailable 3, 3′-diindolylmethane (DIM). DIM is a phytonutrient that supports maintenance of healthy oestrogen hormone levels in both women and men. Cellulose microcrystalline, calcium hydrogen phosphate, silicon dioxide, and magnesium stearate (vegetable source). Adults take 2 capsules daily, or as directed by your healthcare practitioner. 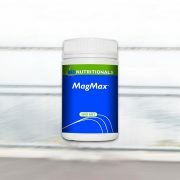 MagMax™ is formulated with seven forms of magnesium plus co-factors to assist with preparation and recovery from sporting activities. Thiamine hydrochloride (vitamin B1), nicotinamide (vitamin B3), calcium pantothenate (vitamin B5), pyridoxine hydrochloride (vitamin B6), cyanocobalamin (vitamin B12), choline bitartrate, molybdenum, riboflavin, UltraSweet™ (oligofructose, xylitol, tapioca maltodextrin, glycine, steviol glycosides from certified organic Stevia leaf, silica colloidal), and natural lemon and lime flavour. Adults: Mix 1 heaped teaspoon (approximately 5g) in a 250ml glass of water or low-fat milk. Consume 1 serve daily or as directed by your healthcare practitioner. Store below 25°C out of direct sunlight. Refrigerate after use. 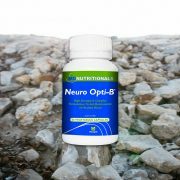 Neuro Opti-B® supplies a complex blend of B-vitamins to enhance energy levels, support emotional wellbeing, and relieve symptoms of stress. Cellulose microcrystalline, silica colloidal and magnesium stearate (vegetable source). Adults: Take 1 capsule once daily with food, or as directed by your healthcare practitioner. 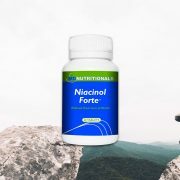 Niacinol Forte™ delivers inositol hexanicotinate, an extended release niacin (vitamin B3). This reduced-flush niacin supports healthy cholesterol levels. Calcium hydrogen phosphate, cellulose microcrystalline, povidone, crospovidone, silica colloidal anhydrous, magnesium stearate (vegetable source), opadry II yellow, and carnauba wax. Contains no gluten, dairy, yeast, wheat, animal products, artificial flavours or preservatives. Adults take 1 tablet once to three times daily or as directed by your healthcare practitioner. Vitamins can only be of assistance if the dietary vitamin intake is inadequate. Seek the advice of a doctor before taking Niacinol Forte™ when taking prescribed medication. Not recommended for use by pregnant, or breastfeeding women. 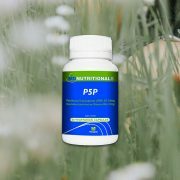 P5P supplies activated vitamin B6 known as pyridoxal 5-phosphate (P5P). Supports nervous system function, healthy red blood cell production, and helps reduce homocysteine levels. Microcrystalline cellulose, colloidal anhydrous silica and magnesium stearate. Adults: Take 1 capsule once to twice daily with food, or as directed by your healthcare practitioner.